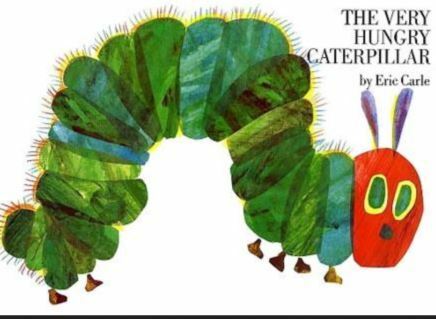 The Bookseller reported in December that a first-edition of Potter’s long-forgotten and recently published The Tale of Kitty in Boots, with illustrations by Quentin Blake, was auctioned at the “First Editions Re-covered” sale, fetching nearly $14,000. The event raised funds for Blake’s House of Illustration, a public art gallery in London. The two-hour event raised approximately $180,000. In 2016, the Royal Mint struck a series of coins commemorating the 150th anniversary of Beatrix Potter’s birth, and plans to add new coins to the series in 2018. This year Mrs. Tittlemouse, the Tailor of Gloucester, Flopsy Bunny, and a new version of Peter Rabbit will appear on the 50-pence coins. The proclamation announcing the series appeared in the December 15 edition of the Edinburgh Gazette. The United Kingdom’s National Trust celebrated 50 years of its Working Holiday program–an initiative aimed at encouraging participants to help care for and restore Britain’s beautiful coastlines, homes, and gardens–by planting 4,000 saplings near Moss Eccles Tarn in Cumbria’s Lake District. Stocked with water lilies and various fish, Potter once owned this charming fishing spot and donated it to the National Trust upon her death. Volunteers helped clear non-native plants to make room for the new trees–native oak, birch, and hazel. Finally, the next meeting of the Potter Society will take place March 23-25 in San Diego, California. Among other activities–British afternoon tea on Saturday, for example–author Marta McDowell and librarian Connie Rye Neumann will share new research on the surprisingly parallel lives of Laura Ingalls Wilder and Potter. Spring can’t get here soon enough. 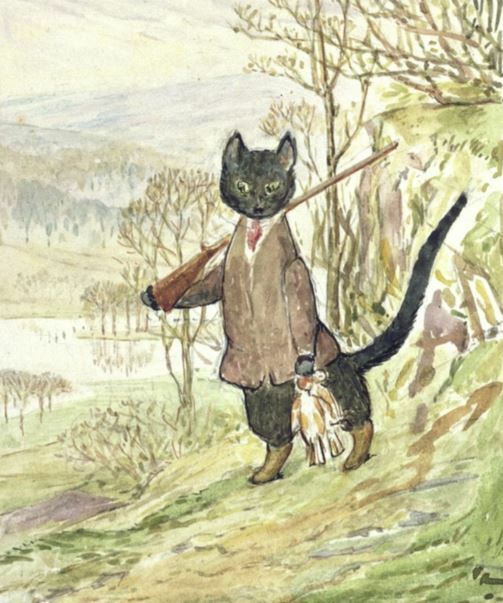 Read all about this weekend’s symposium dedicated to Beatrix Potter on the Fine Books Blog. 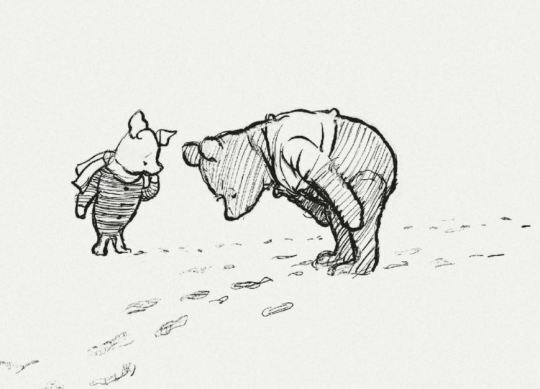 What do Beatrix Potter, Helen Mirren, QE2, Eric Carle, and Winnie-the-Pooh have in common? They all made news this week in the world of children’s books. Read on! From Galley Cat: Disney celebrates Queen Elizabeth II’s birthday with a new Winnie-the-Pooh story. 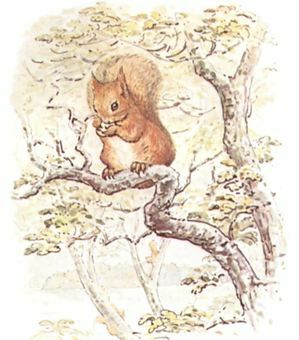 The BBC reports that Helen Mirren is slated to narrate the audiobook version of Beatrix Potter’s The Tale of Kitty-in-Boots, a story rediscovered after 100 years.